Talking about a city that has been talked about so much, writing from the one that the best ones have written, was not easy at all. Travelers know it before they arrive, the photos of the Eiffel tower paper rooms of the most recondite places in the world. Paris is a party. The most romantic city in the world. The witness of history, the muse of painters, the inspiration of poets, the dream home of writers, the cradle of cinema and fashion. 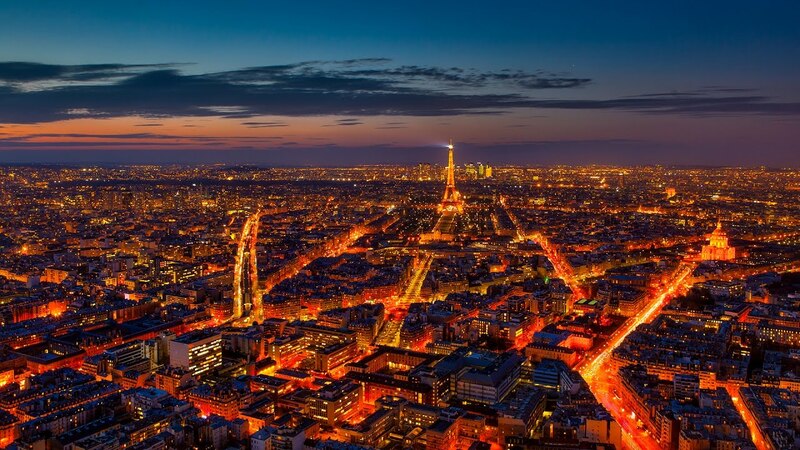 The city of light, of freedom, of human rights. The “influencer”. The revolutionary constant and continuous. And to say all that is enough to say: it’s Paris. For this reason, I have decided to prepare a guide of places I love, but that are not usually in the guides and which serve both those who go for the first time and those who visit it frequently. Saint James Hotel: Located where formerly the first field of Aerostatic Balloons was in Paris, the hotel is flooded with that magic. Surrounded by gardens in the middle of the city, it is unique. With only 49 rooms of which 2 are villas, the hotel offers everything: Spa, gym, a library with 12000 books inside which the magnificent bar also operates. It is worth mentioning that his spectacular restaurant is a Michelin Star winner. Royal Monceau: With 149 rooms, this super luxury hotel never disappoints. It would be necessary to be very demanding to find a defect, both the decoration, the location and the attention are extraordinary. But what sets this hotel apart from other luxury hotels in Paris is its personality. It is a hotel where art is breathed, the rooms are decorated with illustrations of famous artists, letters of historical personages, old documents, books and in each there is a guitar for the use of the guests. They have replaced the traditional souvenir shop, for a bookstore with a wonderful selection of books on cinema, art, history, fashion, etc. And to culminate, the hotel has a cinema where daily classic and contemporary films are projected, which can be enjoyed with a glass of champagne. L’Hotel: Located in the area of ​​Saint Germain des Pres and at the foot of the Latin Quarter, this historic hotel that hosted Oscar Wilde until his death, has been redecorated maintaining its Art Deco style and its immense collection of antiques. The most memorable thing about the hotel is the cocktail bar and its wonderful garden on the terrace. Also worth visiting in the basement is the beautiful pool with Turkish bath, which is exclusive for hotel guests. Merci: Visiting this store is a unique experience, it is ideal to spend a couple of hours and go around all its corners in search of small treasures and leave some time to have a coffee in one of its two cafes. Canal Saint Martin: This street is interesting to visit, in it they buy the premises and you will find French shops such as Maje and Sandro. Officcine Universelle Buly: This perfumery that exists since 1803 is surely one of the best places to buy gifts and special souvenirs of the city. L’Appartement Sezane: This charming shop that took the world by surprise since its inaguration in 2013, originates in Paris, where you will find clothing designed with clean lines and made with high quality at affordable prices. Shakespeare and Company: Known for being the most famous bookstore in the world, when you visit it you will understand the irresistibility of its charm. Founded by the American George Whitman, lover of books who when moving to Paris, after World War II noticed that he had bought so many that he would need a place to keep them. So he founded Shakespeare and Co., where he started selling and lending used and new books mostly in English. He also dedicated a room to host free writers who came to Paris in search of luck. For this reason the place became the center of the literary life of the city and a mandatory stop for the intellectuals of the time. Les Puces of Saint Ouen: For lovers of antiques and vintage items, this is the earthly paradise, as it is the largest antique market in the world. The ideal is to visit it on the weekends mornings when the market is at its best. In the surroundings it is very easy to sit down to have lunch in any of the typical Parisian cafes and watch people go by. So We Are: This boutique located in the Rue de Charonne, is the ideal place to find unique pieces of fashion and accessories. L’Avenue, Hotel Costes and Societé: The three belong to the same group of restauranteurs, so the menu is very similar. L’Avenue is located on the famous Rue de Montaigne, making it ideal for lunch if you are shopping in this area. In the 3 of them it is advisable to make reservations. Pink Mama: This wonderful Italian restaurant is to everyone’s taste, the food is delicious and the view of Paris unbeatable. Septime: It is the most laureate restaurant of the moment. Getting reservations is very difficult, you have to do it with much anticipation, but if you consider that you have an exquisite palate, the experience warrants it. Boulangerie Boris Lume: Hailed as the best bakery, pastry shop in Montmartre. If you plan to go to this famous neighborhood, remember his name. Le Comptoir General: Delicious French bistro, with a modern twist. Chez Denise: This small restaurant, is the place where the Chefs of Paris eat. Needless to say more. 13 A Bakers Dozen: This small bakery owned by an American baker, is ideal to satisfy sweet cravings in Paris. Café Oberkampf: This vibrant cafeteria offers brunch every day until 3pm, among its most popular dishes are: avocado toast with pomegranate seeds and hailloumi. La Cafeotheque: This cozy cafeteria has a very special vibe. Those who arrive feel that they have discovered a secret place. In addition to having a very rich and varied menu, they have coffee beans for sale. Tip: try the Matcha Cheesecake. Pierre Hermes Macarons: Although Laduree is more famous, the best macarons in France are prepared by Pierre Hermes. It has locations throughout the city and even one inside the Galeries Lafayette department store. Centre Pompidou: The spectacular building where it is located was designed by Renzo Piano. It is the ideal museum for lovers of modern art. Musee de Orsay: This old train station, turned into a museum in 1984, begins where the Louvre collection ends (year 1848) and ends where the modern art of Pompidou (year 1914) begins, that is to say that its 1500 works are 60 years of works ranging from Realism and Pointillism to Impressionists and Post Impressionists. Grand Palais y Petite Palais: Both museums have a collection of varied and wonderful permanent art, as well as temporary exhibitions. When visiting Paris it is advisable to check your billboard. Musee de Arts de Metiers: It is the oldest science museum in Europe. It was founded in 1794, in which you will find everything from the implements used by Pascal to the Lumiere brothers cinematograph. 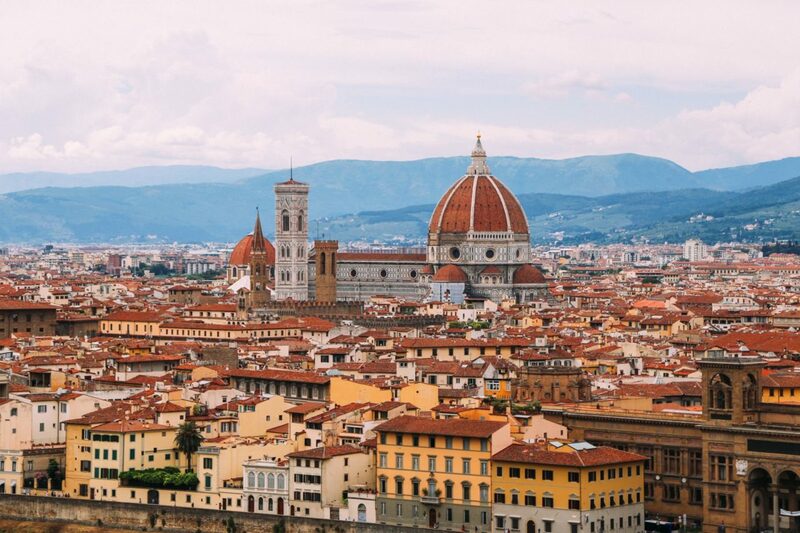 Florence, is art. From the first time I visited, I was shocked that art is very much in the DNA of the Florentines. Everything they do, even clearly utilitarian products such as an envelopes or a letter paper is a work of art. Duomo: It is basic to sigh and delight before the dome made by Brunelleschi six centuries ago, and which is still the largest. After that it is interesting to enter and locate the wonderful fresco by Paolo Uccello, and the rest of the art and details that adorn it. Piazza della Signoria: The famous square is always full of tourists, that is why beyond the sculptures in honor of the Medicis, it is important to look for the Loggia dei Lanzi (it is south of the square) it is an open museum where the famous sculpture Perseus Victorious of Cellini rests. Uffizzi Gallery: Unless you want to line up for hours, it is best to book tickets in advance, as the most famous art gallery in Florence is always very busy. It has so many extraordinary works of art, that it is better to visit it with patience and without aspiring to see it all in one visit. There are works by Michelangelo, Piero de la Francesca and Da Fabriano, but my favorites are two by Botticcelli: “Primavera” and “Birth of Venus”. The Academy: As with Uffizzi it is advisable to buy tickets in advance. When you arrive you will see a huge line and you will know that it is to see the David of Miguel Angel, after seeing him do not leave as many do, the Academy has a lot to see. Santa Crocce: The iconic Franciscan church is the place where the most famous Florentines are buried: Michelangelo, Rossini, Machiavello and Galileo Galiei (who was only buried in 1737 as he was persecuted for his theories by the Inquisition and banned from giving Christian burial to the moment of his death). Also here is the memorial, but with the empty sarcophagus of Dante. National Museum of Bargello: If you still want to see more art, I recommend this wonderful museum that has the largest collection of Renascentist sculptures, including some by Miguel Angel and the sculpture of San Jorge by Donatello. Convent of Todos Los Santos: It seems incredible but the famous work “The Last Supper” is in the cloister of this small old convent. The opening hours to the public are limited, so it is necessary to plan the visit according to them. Ponte Vecchio: The oldest bridge in Florence – built in 1345 – is the place where today Florentine art brought to jewelry can be enjoyed and bought. Side by side are small jewelers and stores with ideal items to carry as a souvenir of this beautiful city. Santa Maria Novella: The ancient church of the Dominican Fathers is almost always forgotten by travelers, however it is full of relevant works of art including The Crucifix of Giotto. Also next to this is one of the most magical places in the city: “Officina Profumo Farmaceutica Santa Maria Novella” a pharmacy and perfumery founded also by the Dominican Fathers in 1675 that produces the most delicious perfumes, soaps and candles, as well as natural syrups and other pharmaceutical products. Pizzeria Santarpia: If you ask the locals, surely most will answer that this is the best Pizza in Florence. Sergio Gozzi Trattoria: This traditional Tuscan food restaurant belongs to the Gozzi family since 1915; It is a hidden gem in the San Lorenzo area. Café Rivore: Founded in 1872 as a chocolate factory, it is the ideal place to take a cappuccino and watch people pass by from its lovely terrace. All their desserts are extraordinary, especially the Sacher Cake. La Bottega del Buon Caffe: This elegant Michelin-starred restaurant achieves what many of its style does, feel cozy and relaxed. The mix of an open kitchen, organic ingredients and top quality prepared with mastery by its great chef Antonello Sardi, the experience of visiting it is memorable. Gurdulú: This modern restaurant, decorated with walls covered with tapestries from Fornasetti, is one of the most fashionable restaurants-bars in Florence. The food and the cocktails are creative and very well prepared. San Gimignano: Only 57 kilometers from Florence is located on the top of a hill, this small walled town. which has remained almost intact since the Medieval Age. All its towers (they were like the skyscrapers of the period, a symbol of wealth). To enjoy it, you can walk around it and visit its shops selling typical Tuscan pottery items. Sienna: It is essential to visit the Duomo, which is spectacular. Another historical place is the Spedale of Santa Maria de la Scala which is an old hospital and hostel turned into an archaeological museum. Cortona: Idilico, is the word that comes to mind to describe it. It dates from the 5th century AD, and is surrounded by olive groves and vineyards. This is a small town to relax, drink wine and walk through its squares, not to find historical places. Ideal to recover from the hustle and bustle of Florence. Asis: Technically this little town, the birthplace of San Francisco de Asis is already in Umbria, but it is so close to Cortona that the trip is appropriate. Going through is very easy, but it is better to get carried away by its small streets and enjoy the wine cellars and other local Italian products. If you are lucky enough to visit Rome for several days or better even more than once in your life. You will remember, when they felt the heartbeat accelerate to see the Roman Colosseum for the first time. They made an impact walking through the Forum, seeing the ruins of the Empire. They threw the coin with their backs to the Trevi Fountain. They toured Piazza Navona. They climbed the steps and took pictures in the Plaza de España. They commented on the aesthetically controversial Monument to Victor Manuel. They saw the majesty of the work of Miguel Angel in Campo Aurelio. They enjoyed the visit to the Vatican, their eyes and soul were ecstatic in the Basilica of San Pedro and they were moved by the tombs of the Popes; still do not leave much of Rome to see. Trastevere Neighborhood: This old neighborhood of cobbled streets, which is on the other side of the Tiber River, is very lively and easy to walk. It is full of restaurants and independent stores, which gives it a very bohemian atmosphere. An interesting point to visit is the Church of Santa Maria de Trastevere and enjoy its wonderful mosaic. Salotto 42: Located in the often overlooked Piazza di Pietra, this restaurant built on the remains of what was once the Temple of Hadrian (145DC), it’s a place that upon entering makes you reflect on the history of the humanity. The atmosphere is extremely cozy and the menu varied and fresh. La Casetta: This little house covered in green foliage located on the Via della Madonna dei Monti, is one of the best kept secrets of the city. With very few tables and in a very cozy atmosphere, it offers a menu with delicious quiches, pies and cakes. Mercato Delle Stampe: This Antiques Market in Piazza Borghese is one of the best in Europe in terms of the quality of the objects it offers. The attention is excellent, for that reason very probable to leave here with a pair of treasures. Fendi: For those who are willing to spend a little more, Fendi is the iconic brand of Rome. It was founded in 1925 in the city by Adele and Edoardo Fendi as a luxury leather goods brand. The Romans feel that they are their own and are always very proud that all the products of the brand are still being manufactured in Italy to this day. The current store occupies 700 square meters on Via dei Condotti. As someone who has the priviledge to travel to NYC often I am in an interesting position to see it. Neither a tourist, nor a local. Comfortable as home, but not quite to become used to it. Close enough to have a public library card, and a friend at the market downstairs, who knows how i like my tuna salad; but not so much to complain about the mayor or the masses of tourists. That position helps me suggest a few interesting spots for people to visit when in NY. The problem for visitors is that it has so many options that is hard to decide and the traffic makes the transportation an issue too. So I preffer each day to stay in an particular neighborhood and enjoy all it has to offer. Is definetely one of my favorites neighboorhoods in town. I suggest to start the morning having breakfast either inside the coffee shop at the Whitney’s Museum or at the Gansevoort Market. After breakfast, start at the Whitney Museum –its specialty is American Art so its interesting to do so while in NYC- the museum is big, start at the 8th floor, the terrace has amazing views of the city and the Hudson river. From them work yourself down to the 7th floor and so on. Make sure to don’t miss Edward Hopper’s , Ed Rushka’s, Georgia O’keefe’s and Basquiat’s art. After that, you can walk to the High Line, the stairs are right there at the corner of Gansevoort and Washington Street. Don’t miss checking the menu in Santina, because it ‘s a great option for dinner. When you finish the High Line’s visit, I suggest to go down stairs at 14th Street, so you can walk a little and explore the shops there: Jeffreys, Joies, Levis, DVF, The Kooples, Kiehls, Asics. Here you will also find the Ground Zero Museum WorkShop. Afterwards you can walk Washington Street that has the famous Bond Street Perfume, Scoop, Zadig and Voltaire Intermix, Nicholas Kirkwood, and Killiam Perfume. To have lunch you can’t go wrong, there are plenty of options. If you want a fast lunch the best places are inside the Chelsea Market or the Gansevoort Market, all delicious, but if you want to sit down and relax there is The Standard Grill, Bagatelle, or Dos Caminos. After lunch there is still plenty to do, if you are at the Chelsea Market you can check the rest of it, the building used to be the Old Nabisco Factory –birthplace to the Oreo cookie- there is a beautiful bookstore, an english specialty gourmet food market, the Fat Witch Brownie –best brownies in USA according to Oprah- and a Artisan Flea Market. If you want to continue shopping you can check 9th Ave that has a corner Apple Store and many more. If not go to the Biergarden at the Standard, even if you dont drink beer –i don’t- the place is very cool. It’s open setting, with ping pong tables, a beautiful bar, it attracts lots of New Yorkers after office. For dinner – try and make reservations earlier- Spice Market, Budakkan or Santina are all amazing options.